Today, I am grateful to have been able to present some aspects of the electricity business to business students at McGill University, where I did my MBA many years ago. It was great fun. Here is the short deck that I presented. 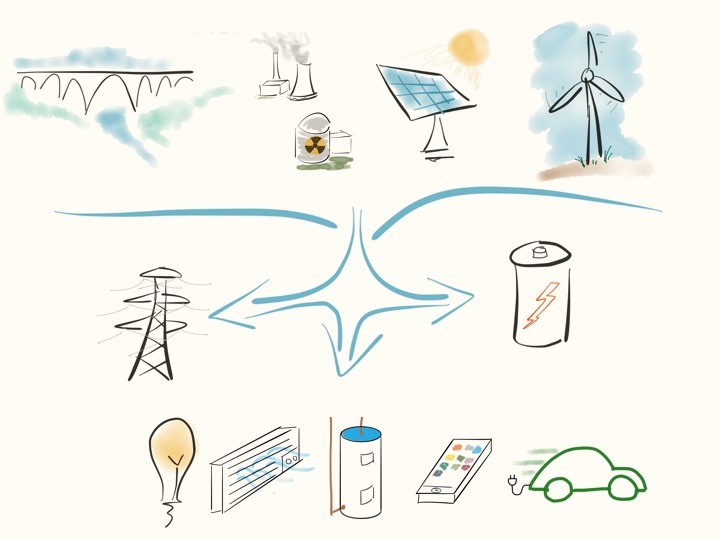 This entry was posted in Business Models, Energy Storage, Public Presentations, Solar Energy, Wind Energy on February 27, 2019 by Benoit Marcoux. I wrote this piece with my friend Denis Chartrand as a companion document for my CEA presentation back in February 2018 (See http://benoit.marcoux.ca/blog/cea-tigers-den-workshop/) but I now realize that I never published it. So, here it is! This entry was posted in Best Practices, Canada, Customer Relationships, Distributed Generation, Economy, Energy Storage, Future of Utilities, Grid engineering and planning, Grid Operations, Microgrids, Policies and Regulatory, Public Presentations, Solar Energy, Wind Energy on September 22, 2018 by Benoit Marcoux. On February 21, 2018, I presented at the annual T&D Corporate Sponsors meeting of the Canadian Electricity Association. This year, the formula what similar to the “dragons” TV program, with presenters facing “tigers” from utilities. They asked me to go first, so I didn’t know what to expect, but it went well. Or, at least, the tigers didn’t eat me alive. The theme was a continuation of my 2017 presentation, this time focusing on what changes utilities need to effect at a time of low-cost renewable energy. I’ve attached the presentation, which was again largely hand-drawn: CEA 20180221 BMarcoux. 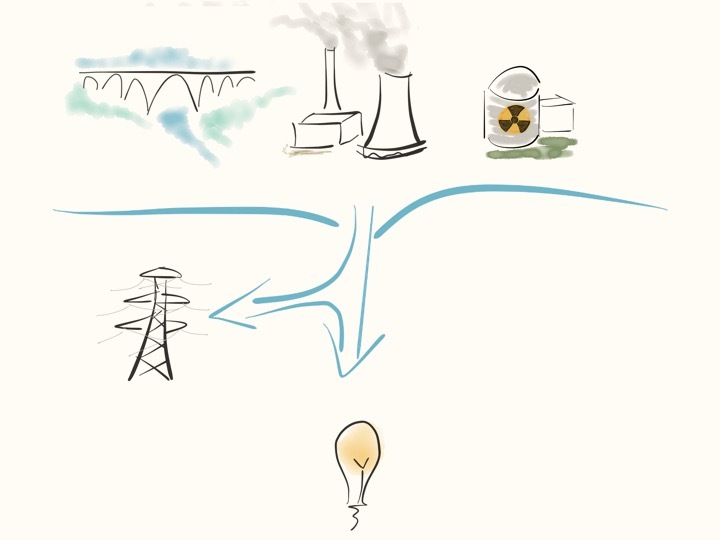 This entry was posted in Best Practices, Canada, Customer Relationships, Distributed Generation, Energy Storage, Future of Utilities, Grid engineering and planning, Grid Operations, Microgrids, Policies and Regulatory, Public Presentations, Smart Grid, Solar Energy on February 22, 2018 by Benoit Marcoux. Coal originates from dense forests in low-lying wetland areas, mostly from the Carboniferous Period, around 300 million years ago. Some of the vegetation got trapped underneath soil due to natural events such as flooding. As more and more soil deposited over the remains of the forests, they were compressed, with temperature rising naturally. Under high pressure and high temperature, dead vegetation was slowly converted to coal. Oil is usually younger, from the Mesozoic Era, about a hundred to 2 hundred million years ago. The formation of oil begins in warm, shallow oceans that were then present on Earth. In these oceans, small animals called zooplankton and plants called phytoplankton died and felt to the floor of the ocean. As they got buried by sediments, they were transformed into shale. As pressure and temperature increase, the shale transformed into oil and, if the temperature was high enough, into natural gas. 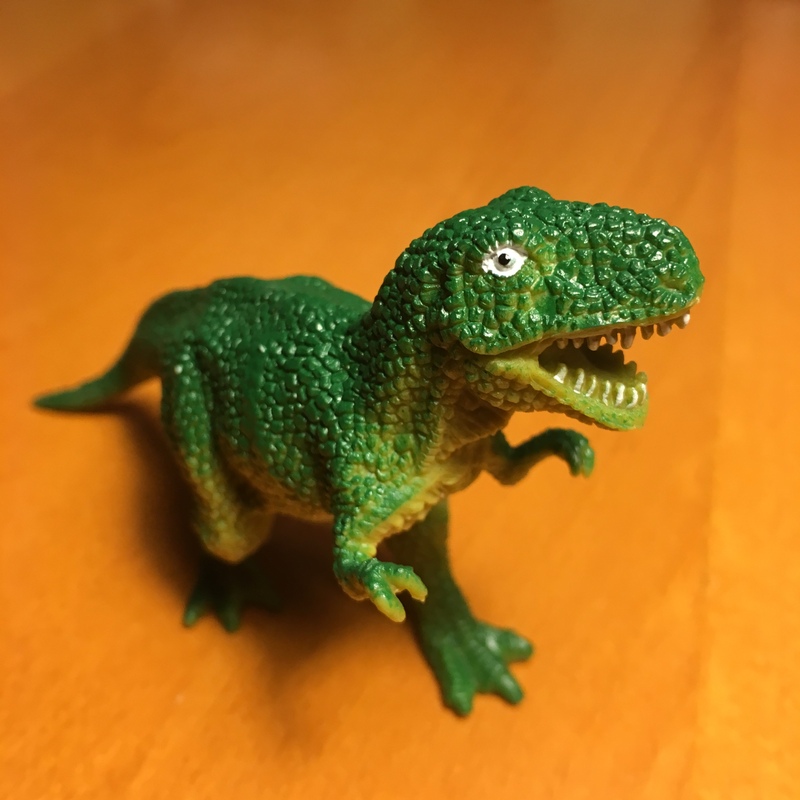 I used to tell by children that petroleum is really “dinosaur oil.” This is not technically exact, but a nice metaphor. Today’s solar energy obviously also comes from the sun. But it’s brand new energy, not hundreds of millions of years old stuff. Essentially, we are now building a society that bypass hundreds of millions of years of dead history long buried in the ground. Somehow, I find this refreshing. This entry was posted in Energy Storage, Solar Energy, Wind Energy on February 5, 2018 by Benoit Marcoux. I have worked in the telecom industry as head of marketing, in customer care and as a business consultant — I saw what happened there. More recently, I have also seen some of the best and the worst of stakeholder communications at electric utilities — including while I directed a large smart meter deployment, a very challenging activity for customer relationships. Beyond the obvious like using social media, online self-support, and efficient call center operations, There is one thing that electric utilities should do to improve their chances to maintain healthy customer relationships as the industry is transforming: lead the change. Utilities have a choice: lead change or have change done to them. The latter might hurt customer satisfaction more than the former. Like telephone companies of the past, electric utilities could try to forestall the coming change, or even to reverse it, hoping to get back to the good old days. In fact, this is rather easy, as there is a lot of inertia built in a utility, often for good reasons: public and worker safety, lifelong employment culture, good-paying unionized jobs, prudency of the regulated investment process, long-lasting assets, highly customized equipment and systems, public procurement process, dividends to maintain for shareholders, etc. For utility executives, effecting change is never easy. In the end, however, resisting change is futile. Customers are able to start bypassing utilities by installing solar panels and storage behind meters, keeping the utility connection as a last resort. It is just a matter of time before the economics become good enough for many industrial, commercial and residential customers, with or without net metering. Customers will do it, grudgingly, but they’ll do it. This will also leave fewer customers to pay for the grid, sending costs up and stranding assets, therefore increasing rates for customer unable to soften the blow by having their own generation, further antagonizing the public… A death spiral of customer satisfaction. [i] As reported by UtilityDIVE, https://www.utilitydive.com/news/alectra-utilities-ceo-someones-going-to-cannibalize-our-business-it-ma/504934/, accessed 20180102. [ii] See https://www.greenmountainpower.com/press/green-mountain-power-first-utility-help-customers-go-off-grid-new-product-offering/, retrieved 20171229. [iii] See https://www.tesla.com/blog/next-step-in-energy-storage-aggregation, retrieved 20171230. [v] Performance Based Regulation, A Review of Design Options as Background for the Review of PBR for Hydro-Québec Distribution and Transmission Divisions, Elenchus Research Associates, Inc., January 2015, page A-25. [vi] See http://www.energystoragenetworks.com/pge-selects-edf-behind-meter-energy-storage-contract/, retrieved 20171230. This entry was posted in Energy Storage, Future of Utilities, Policies and Regulatory, Solar Energy on January 4, 2018 by Benoit Marcoux. An “iPhone Moment” for Electric Utilities in 2018? In 1977, I worked as an electric meter reader, before going to university to earn my Electrical Engineering degrees at Polytechnique Montréal. In 2012, I was directing the largest smart meter deployment in Canada, replacing some of the same meters that I had read three and a half decades earlier. In between, I worked for 20 years in telecoms, living the Internet and wireless revolutions, and then mostly with electric utilities for the last 15 years. As this year gets to a close, I would like to reflect on the changes that technology has brought – or could bring – to utilities and what it may mean for the future. In 1987, telephone and electric utilities were both in the wire business – perhaps 20 AWG for telephone and 4/0 for electric, but mostly copper hanging on wood poles and serviced by a fleet of bucket trucks. Telecom companies were then telephone companies, just experimenting with wireless (the first cellular call in Canada had occurred just 2 years earlier) and the Internet was still primarily a military research technology (commercial service only started in 1989). Phone and electric utilities were highly regarded companies, imbued with a duty for public service and providing lifelong employment to their loyal employees. By 1997, I owned a cell phone and I was running what was then the largest Internet telephony network (but tiny in comparison to today), competing with international telephone carriers. However, phone companies were in denial on the Internet, seeing us as a temporary nuisance, and trying to control user experience on cellular phones, like they had been doing for a century with rotary phones on landlines. In 2007 the iPhone was launched. Not only did it merged the Internet and wireless phone, but it profoundly changed the business of the telecom companies. Before the iPhone, the wireless carriers were subsidizing cheap handsets to get customers to lock in for 3-year contracts and using the carrier’s proprietary and closed services. But the iPhone upsets that balance of power. Apple kept control on the user interface, given choice to consumers to buy the best apps from developers. However, by fostering more innovation, the carriers’ networks got more (not less) valuable through this change. People spent – or wasted – more time on their smart phones, generating more revenue for carriers and hardware manufacturers as network capacity expanded through successive generations of technology. In the meantime, not that much has changed in the electricity business – my father, who worked as a dispatcher at Hydro-Québec until the 1970s, would probably recognize the network today, although he would certainly envy dispatchers using electronic maps rather than the paper ones he used. However, 2017 has seen the rise of inexpensive solar energy and energy storage. Could 2018 have an “iPhone moment” for electric utilities? After all, the Internet brought us on-demand access to information, like energy storage is bringing us on-demand power. Wireless phones allowed us to cut the cord, and so may be distributed solar energy, at least to some extent. The parallel is striking. Now who will be the next Steve Jobs? Elon Musk, perhaps? All my best wishes for 2018! This entry was posted in Energy Storage, Future of Utilities, Solar Energy on December 18, 2017 by Benoit Marcoux. On October 25, I appeared before the Standing Committee on Natural Resources discussing Strategic Electricity Inter-ties. The Standing Committee on Natural Resources studies bills, government activities and expenditures, and issues related to Canada’s energy, forest, minerals and metals, and earth sciences sectors. The idea behind strategic electricity inter-ties is to improve power exchanges between provinces by increasing tie capacity with new transmission lines. The brief that I wrote and my testimony argued that that energy storage may be a better alternative in light of the long time frame to build new transmission lines (15-20 years is typical), the current state of the art in storage, and expected growth in performance and cost decline of the technology. It was my first experience of appearing before such a committee, and I like the experience. I was impressed by the questions that the members of parliament asked. They also seemed to like my arguments, as many came to me afterward to thank me. Here is the brief that was presented: S&C Brief Standing Committee RNNR 20171024. This entry was posted in Energy Storage, Public Presentations on November 3, 2017 by Benoit Marcoux. This entry was posted in Energy Storage, Future of Utilities, Microgrids, Public Presentations, Solar Energy on April 4, 2017 by Benoit Marcoux. The grid is transforming and getting more complicated. We are decommissioning fossil plants to reduce GHG emission and nuclear plants because of safety concerns. There is only so many rivers, so the solution of building new hydro plants is not sufficient. We are then replacing fossil and nuclear base load plants with renewables that are intermittent. To compound the problem of balancing the grid, loads are also becoming peakier, with reduced load factor. Interestingly, many energy conservation initiatives actually increase power peaks. To connect the new renewable generation, we then need to build more transmission. The transmission network also allows network operators to spread generation and load over more customers – geographic spread helps smooth out generation and load. Building new transmission lines face local opposition and takes a decade. The only other alternatives to balance the grid are storage … and Demand Management. Another issue is that we are far more dependent on the grid that we used to be. With electrical cars, an outage during the night may mean that you can’t go to work in the morning. So, we see more and more attention to resiliency, with faster distribution restoration using networked distribution feeders as well as microgrids for critical loads during sustained outages. Renewable generation and storage can more effectively be distributed to the distribution network, although small scale generation and storage are much more expansive than community generation and storage. With distributed generation, distributed storage and a networked distribution grid, energy flow on the distribution grid becomes two-way. This requires additional investments into the distribution grid and a new attention to electrical protection (remember the screwdriver). All of this costs money and forces the utilities to adopt new technologies at a pace that has not been seen in a hundred years. The new technology is expensive, and renewable generation, combined with the cost of storage, increases energy costs. There is increasing attention to reduction of operating costs and optimization of assets. This entry was posted in Energy Storage, Future of Utilities, Solar Energy, Wind Energy on March 28, 2016 by Benoit Marcoux. On September 29, I was asked to participate on a panel titled “Evolution of Energy Generation and Distribution in Canada’s Smart Power Grid” at the Innovation 360 conference in Gatineau, Québec (http://innovation360.ca). Here is the essence of what I contributed. By definition, in an electricity network, energy consumption plus losses equal electricity generation. This must be true at any point in time, or protection systems will shed load or trip generators. 1) Traditionally, dispatchable generators that can easily ramp up or down were tasked to follow the load. Big hydro plants and natural gas generators are particularly good at this. However, we are running of big hydro opportunities, and natural gas are sources of greenhouse gas emission, contributing to global warming. 2) Another way to balance load and generation is to interconnect with neighboring network that may not have the same load profile. Today, all of North America is interconnected in some way. However, building transmission lines is a lengthy process that typically faces major local opposition. As a result, most transmission lines run at capacity during peaks, weakening the bulk transmission system as the Northeast blackout of 2003 demonstrated. 3) In the last couple of decades, we have started to control load, like turning off air conditioning units by pager or getting large industrial like smelters to go offline for a couple of hours during a major peak. Time-of-use or market pricing are also attempts to have loads better follow available generation capacity. However, much of the conservation focus thus far has been on energy efficiency, not peak load reduction. 4) Very recently, energy storage has been getting attention. Traditionally, the only utility-scale storage technology available was pump-storage, like the Sir Adam Beck plant in Niagara, but few of those plants are possible, and they are not efficient. Going forward, batteries, either utility-scale or distributed storage, will grow, although for now utility-scale batteries are MW-class, when hundreds of MW or GW are needed. Balancing load and generation is also becoming more and more difficult. On one hand, consumption is getting peakier, partly due to side effects of some energy saving programs, like turning down thermostats at night in the winter, and then turning them back up in early morning, just in time for the morning peak. On the other hand, wind and solar generators are replacing fossil generators, adding unpredictability to generation and taking away controllability, thus requiring even more balancing resources. Integrating renewable into the grid is not only causing balancing problems. It also creates voltage management and protection problems. Those are solvable, but significant, engineering problems that require expensive upgrades to the electricity grid. Ultimately, load and generation balancing, voltage management and grid protection adds costs that are ultimately born by subscribers. It therefore quickly becomes a political issue. As a society, we have been subsidizing fossil fuels. Clearly, going forward, we will need to greatly invest in the grid if we want to limit the predicaments of global warming for our children and grand-children. This entry was posted in Energy Storage, Public Presentations, Smart Grid, Solar Energy, Wind Energy on September 30, 2015 by Benoit Marcoux.